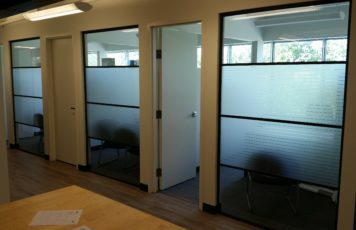 Glass enhancement film achieves the look of etched glass with out the expense or performance. This flexibility can be important in leased spaces or commercial properties where company logos and signs may need updating. Frosted film can be wiped clean with regular glass cleaner. Protect people and property from flying shards of glass with multi-laminate safety and security films that are known for their clarity and cleanliness which is the result of top grade polyester and transparent adhesives. Produced in 4, 7, 8 and 12mil thicknesses with an aggressive PS adhesive, it holds broken glass together and has a durable scratch coating. The film can be transparent or tinted. Solar Control window film is an investment that leads to savings. 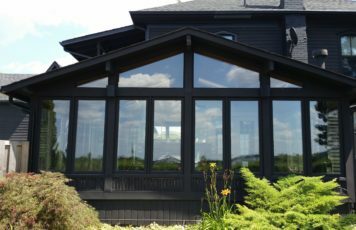 Windows allow high levels of heat gain in a building or home. 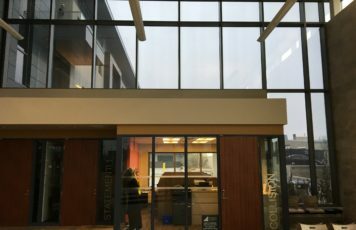 Window film blocks heat before it enters a building and its insulation properties diminish heat loss through the glass. Controls damaging effects of the sun from UV radiation, light and heat, which contribute to fading furniture, artwork and flooring. This film not only enhances the beauty of any home or building, but it also reflects up to 78% of the sun’s heat, reduces the sun’s glare by as much as 86%, and screens out up to 99% of the sun’s UV radiation! Solar films are available in a variety of shades, colour and configurations, and are fully backed by the finest warranties in the industry.